Jennifer and Kitty O'Neil are sisters and authors of the book Steampunk Chic: Vintage Flair From Recycled Finds. Their crafting, decorating, and flea market articles appear regularly in Woman’s World, Crafts 'n things, and Create and Decorate magazines. They also write for the websites of Better Homes and Gardens, Family Circle, Ladies' Home Journal, HGTV, Fine Living, Parents, and LifetimeTV. 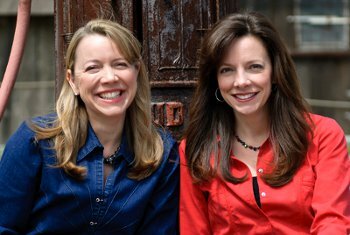 The O'Neil sisters were born and raised in Tampa, Florida, and are the granddaughters of Chic Young, creator of the comic strip “Blondie and Dagwood.” They share their enthusiasm and their fresh approach to crafting and decorating on their website, RunningWithSisters.com.